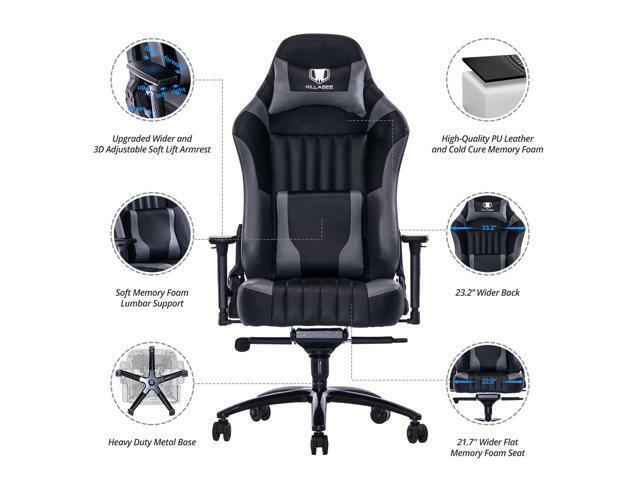 The ergonomic computer chair with the high density memory foam seat, the high backrest and the wide armrests will become your favorite piece of furniture. 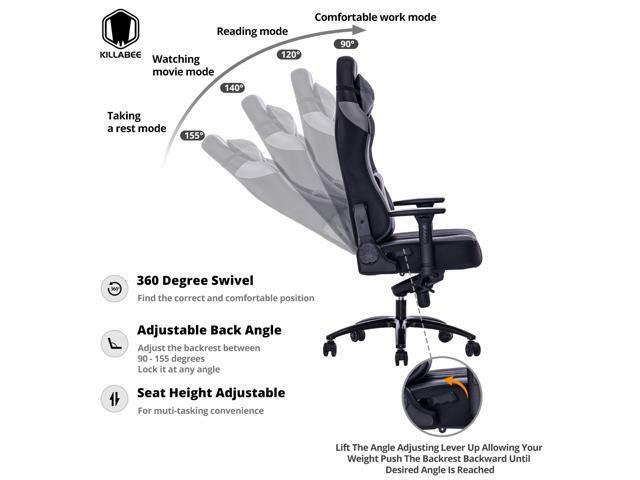 Are you not convinced yet that this is the most advanced and comfortable office chair that you’ll ever sit on? 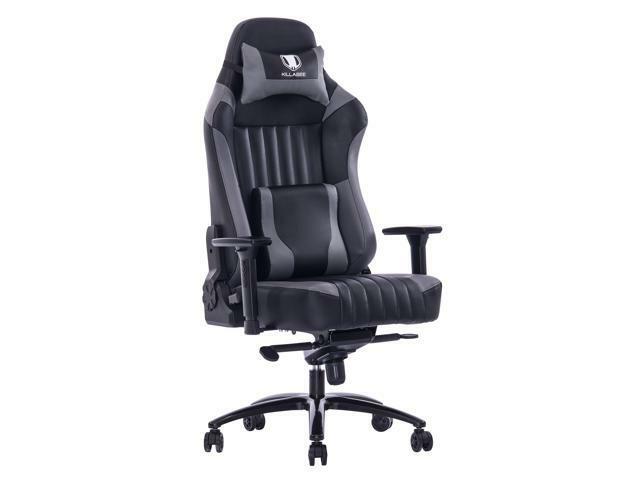 This gaming chair is made with quality materials that will never bend, break or malfunction. 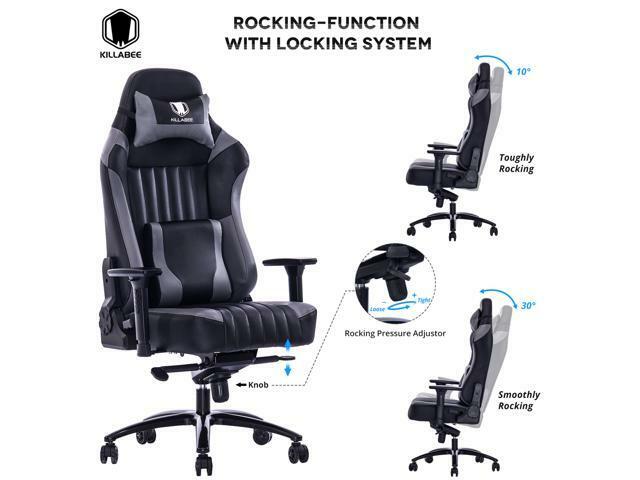 It’s sturdy, stable and durable. 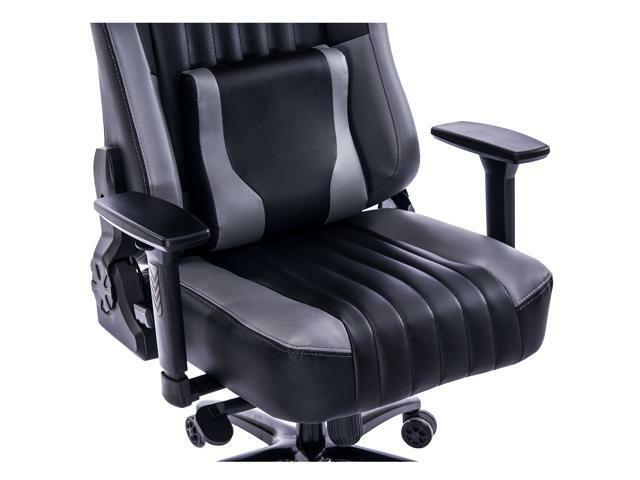 It’s made with an integrated frame, a heavy duty metal base, an explosion-proof gas spring and smooth-rolling casters. 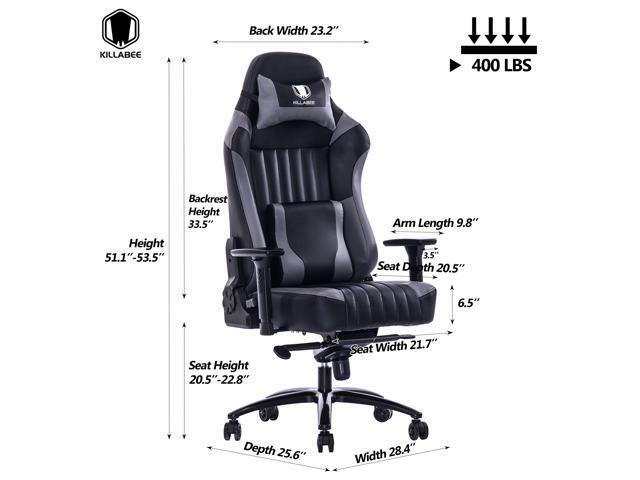 Overall size: 28.6" x 25.4"x 51.1"- 53.5"
KILLABEE offers you a 1-year warranty on parts. So if there’s anything that malfunctions or if you’re not happy with your purchase, contact us and let us know. We will take care of the rest!